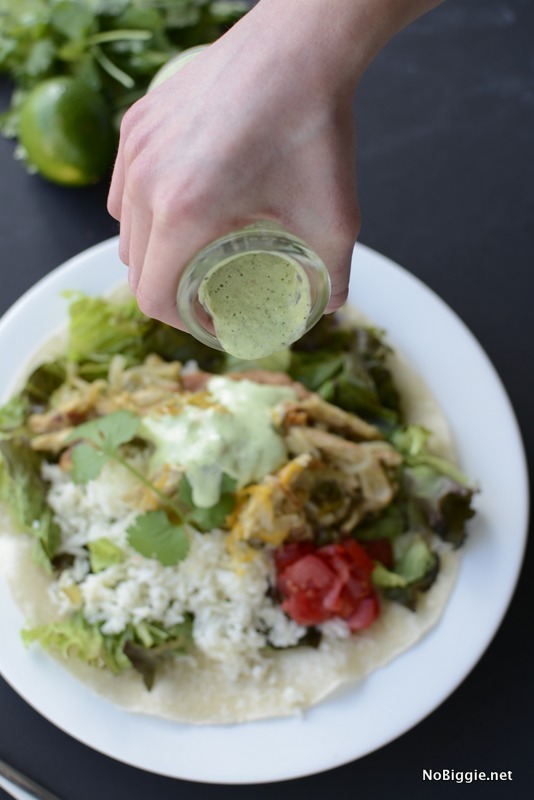 Creamy Cilantro Lime Dressing is one of our favorite Mexican Food sides. 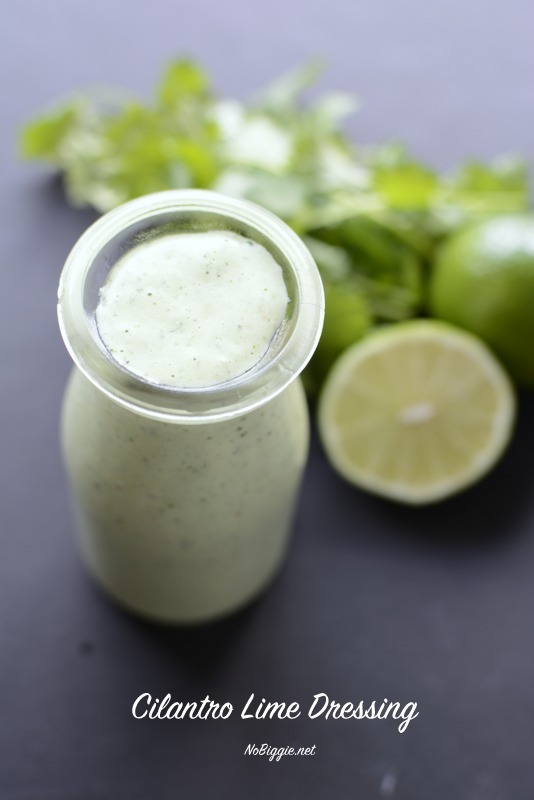 This Creamy Cilantro Lime Dressing is a must with the green chile chicken salad. 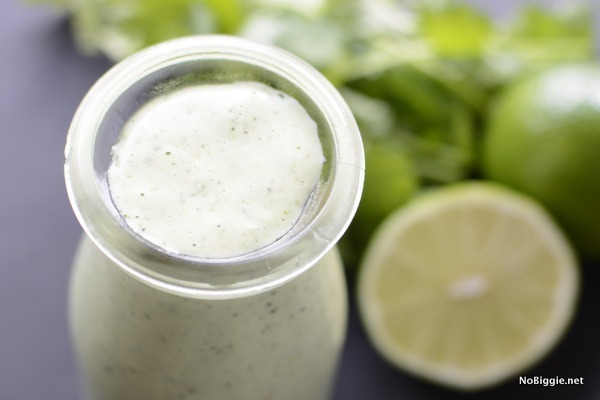 Sometimes making salad dressing at home can feel like extra work, but this dressing is worth it, and could not be more easy. You’ll be making it all the time once you try it. 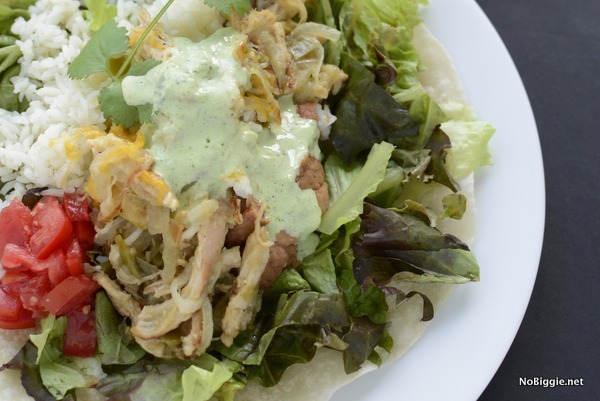 Not only is this dressing so good on the green chile chicken salad, you’ll want to dip everything in it! Here’s a bit of the step by step in photos. The full recipe below. Here’s all the ingredients lined up ready to go. 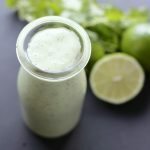 I sure do love my Blendtec Blender for recipes like this, it gets everything so smooth. 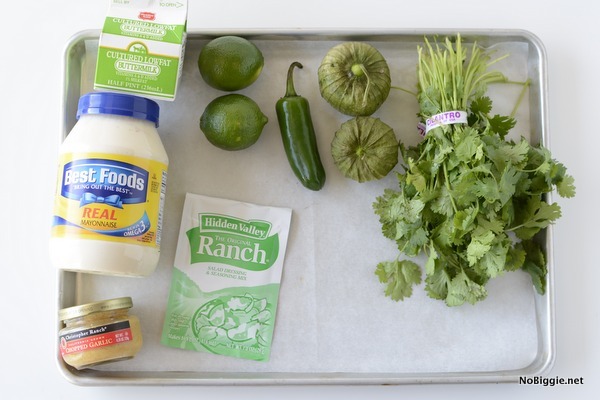 We love this on dressing on EVERYTHING, but it's a must on the Green Chile Chicken Salad. 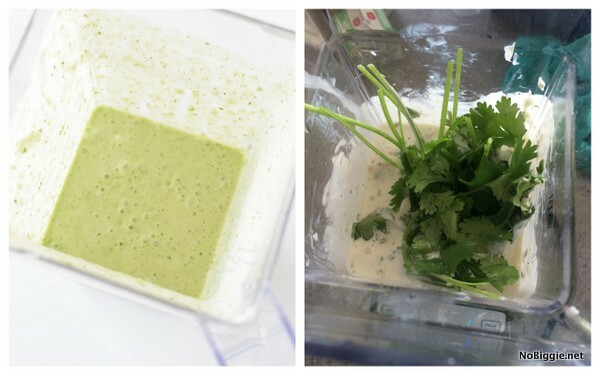 Blend all ingredients together in a blender and chill.